Images sent in by Star-Bulletin readers from around the world. 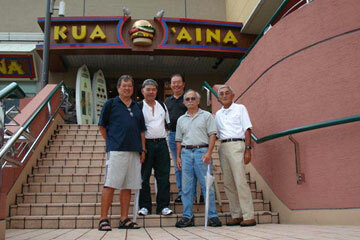 Dave, Harold, Herb, Roy and Doi stopped by Kua Aina in Tokyo. Colin Sewake, originally from Wahiawa, lives in Yomitan village, Okinawa. 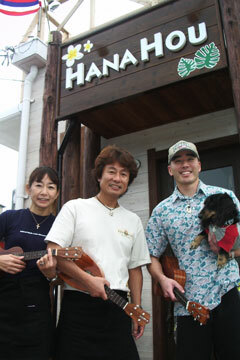 Kenji and Asako Furihata, from Tokyo, opened up Cafe Hana Hou with their dog, Buddy. 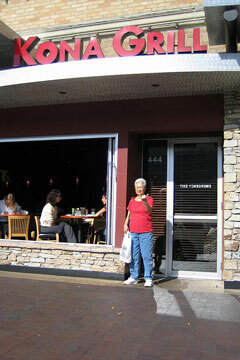 Lenora Yagi of Wahiawa visited the Kona Grill in Kansas City, Kan.